Hi friends, i want to share about Motorola Atrix HD MB886 . 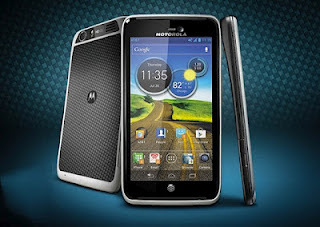 Motorola introduced its Motorola Atrix HD MB886 which is one smart phone that uses a dual core system and has a large display screen after first removing the Razr and Razr Maxx Droid. Motorola Atrix HD MB886 has a 4.5 inch screen with a screen ColorBoost HD for scratch resistance. Body display Motorola Atrix HD MB886 is also quite slim and thin. Motorola Atrix HD MB886 is equipped with 4G LTE connectivity that delivers 10x faster speeds than 3G and has a 1.5 Ghz dual core processor yag 2x faster than the others. Motorola Atrix HD MB886 also comes with Android 4.0 Ice Cream Sandwich which facilitates multi-tasking. Motorola Atrix HD MB886Motorola Atrix HD MB886 is equipped with 8 MP camera and HD 1080 Video Recording with exceptional image quality. Motorola also has a 1.3 megapixel front camera as a webcam. This has a battery 1780 mAh with 1 GB internal memory and 8GB capacities. Dimensions are 133.5mm x 69.9 x owned 8.4 mm with a weight of 140 g.